Tim Saltwell has been trading in English and Continental antique furniture for over 30 years, and is a member of LAPADA, The Association Of Art & Antiques Dealers. Exhibiting solely at quality antiques fairs, including Olympia and the NEC Antiques for Everyone , where he has been a furniture vetter for over fifteen years. 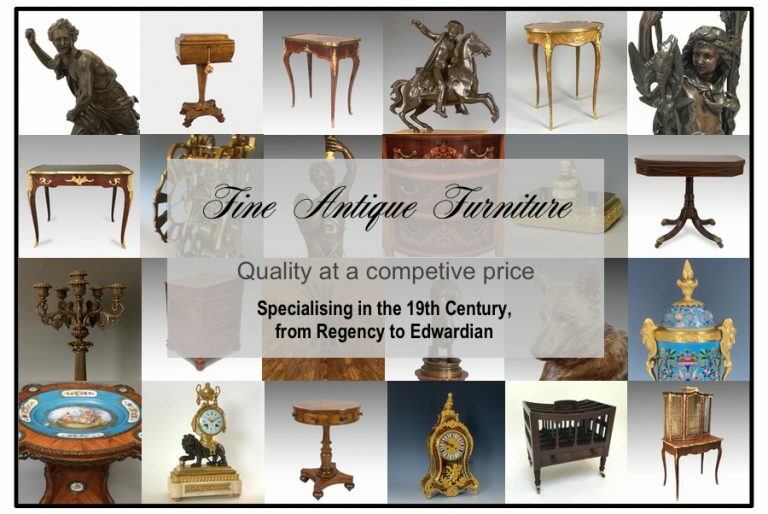 Specialising in the 19th century, from Regency to Edwardian, with a strong emphasis on quality items at a competitive price. There is always a good selection of display cabinets and vitrines, along with a range of decorative items. “It arrived today safely and it is exquisite! Thanks for all of your help on this long journey.” RK, USA. “The candelabra arrived and have exceeded my expectations. Photos shall follow once they are in place.” Telly R.
“Hi Tim. The box arrived today. Thank you for the excellent and professional packing! It’s certainly is a beautiful piece and seems quite unusual.” Shaun, USA.